I am so excited to tell you about how I transformed my plain vanilla fireplace into a fabulous looking stone one for under $150. 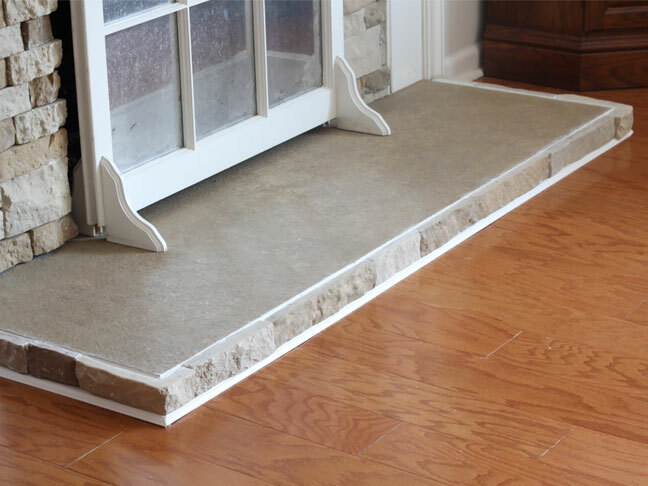 The cost alone makes this a great DIY project, but what is even better is that anyone can do it – no special skills needed! If you can ice a cupcake and cut a French baguette in half then you have all the skills you need to create a beautiful stone facade anywhere in your home. 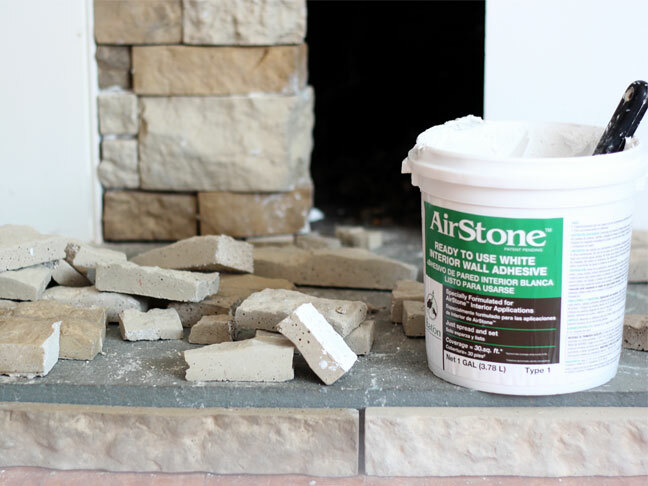 I used a new product called AirStone that is sold at Lowes to transform my fireplace. It comes in two colors – I used the tan stones called Autumn Mountain. There are 3 shapes of stones and each box comes with a 2 different width stones. All of them look and feel like real stone. 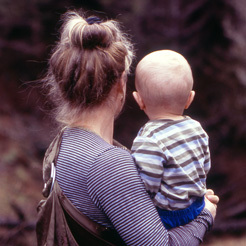 It is very easy to cut – a hacksaw is all that is needed. I felt like I was cutting through a crusty piece of French bread. To apply the stones – you use a ready made adhesive and apply it to the back of each stone like you are icing a cupcake. Once the back is covered simply press the stone onto the surface you are working on. 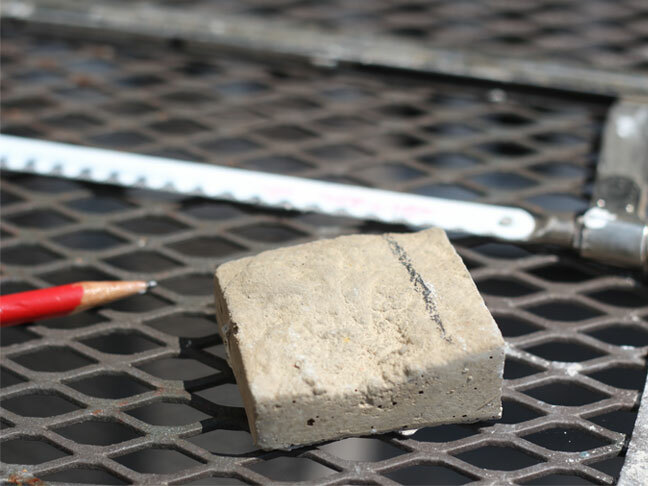 Mix the stone shapes and sizes as you add the stones and you will create a fireplace that a stone mason would be proud of. 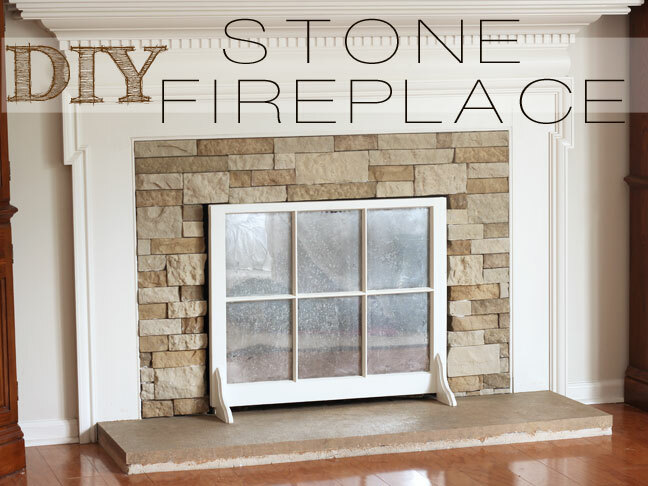 The stones have a “Class A” fire rating and are safe to use around typical fireplaces. I even trimmed the hearth around my fireplace with the stones. 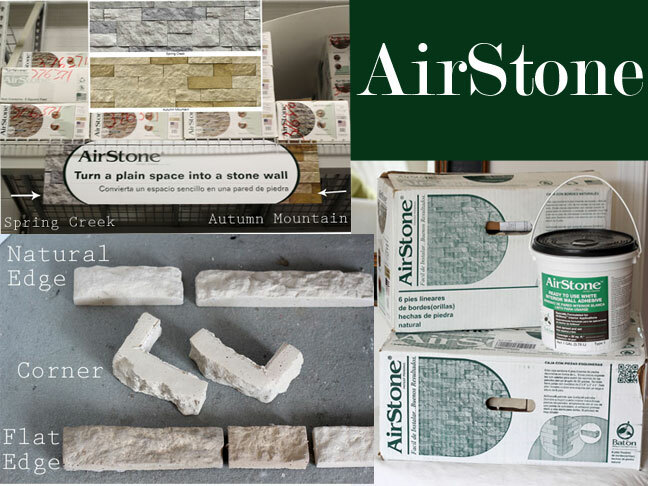 To watch a video showing just how easy and affordable AirStone is to use head on over to the AirStone website. 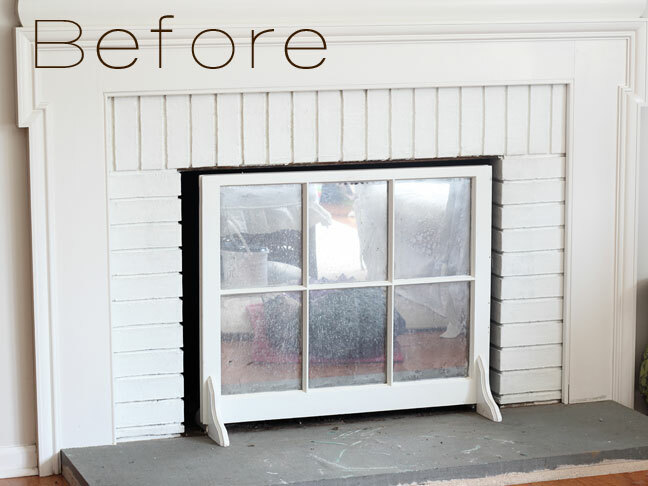 I also have a step-by-step tutorial on my blog showing all the details on how I transformed this fireplace at – In My Own Style.